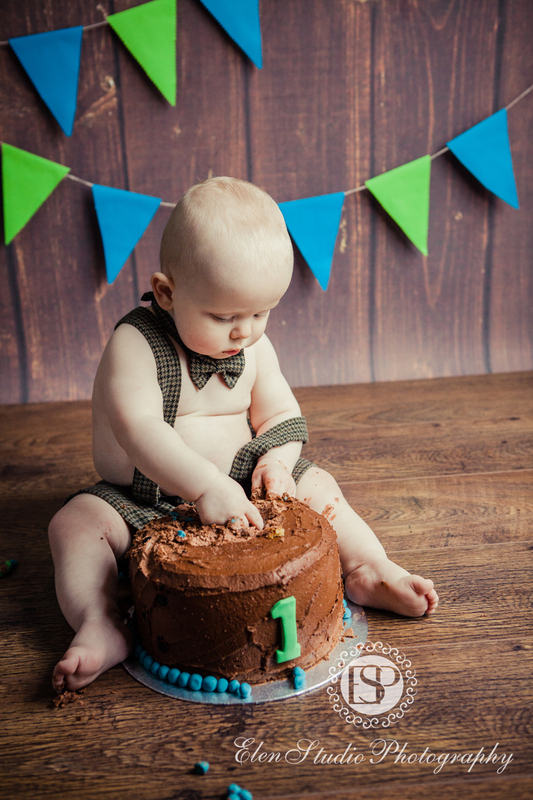 These photos of a cake smash baby boy are the last in the First Year Plan boutique baby photography shoots for Oliver. 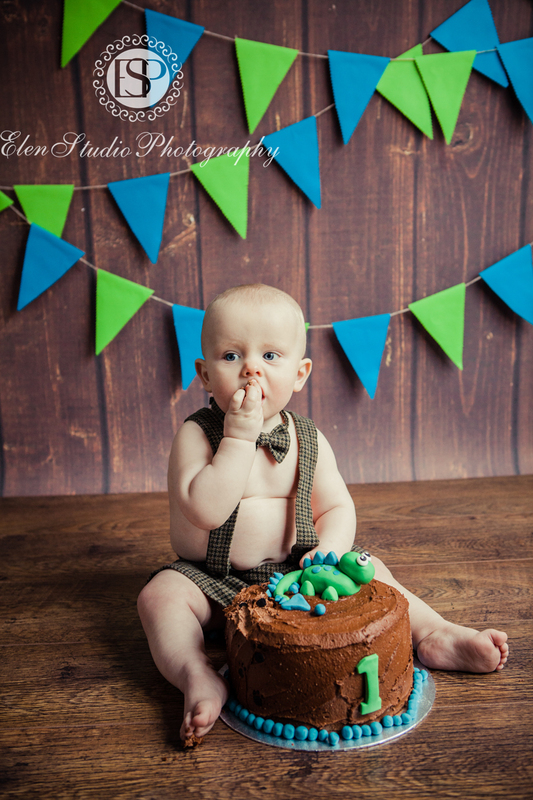 Oliver likes dinosaurs so his parents decided to make this a theme. 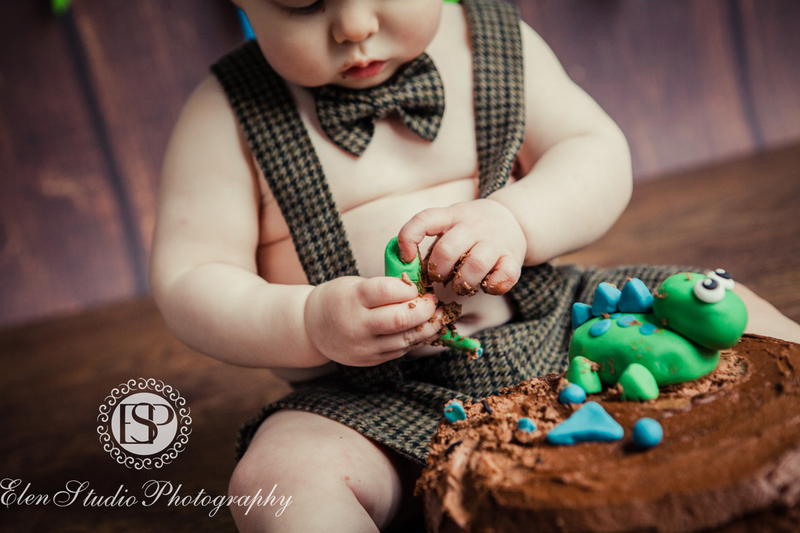 The cake was made to support this theme too – with a little green dino on the top. 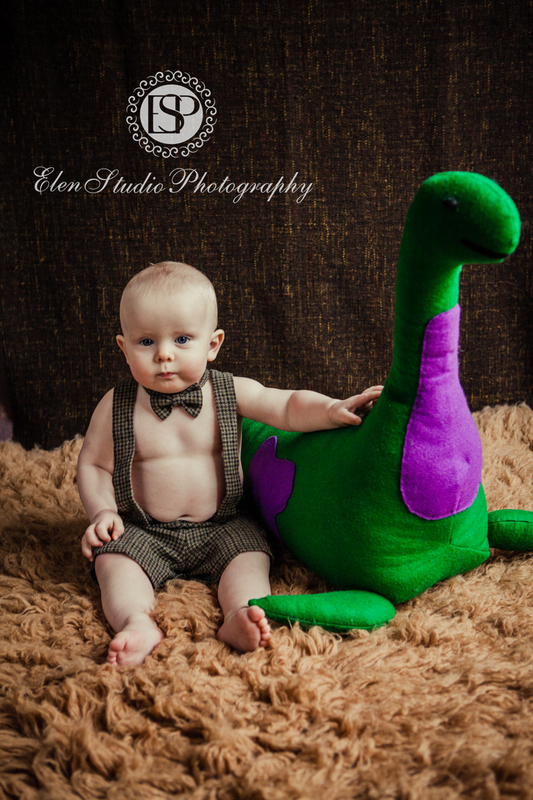 Something else made this photo shoot to be a very special – a large soft toy dinosaur which was Oliver’s 1st Birthday present made by his mum. 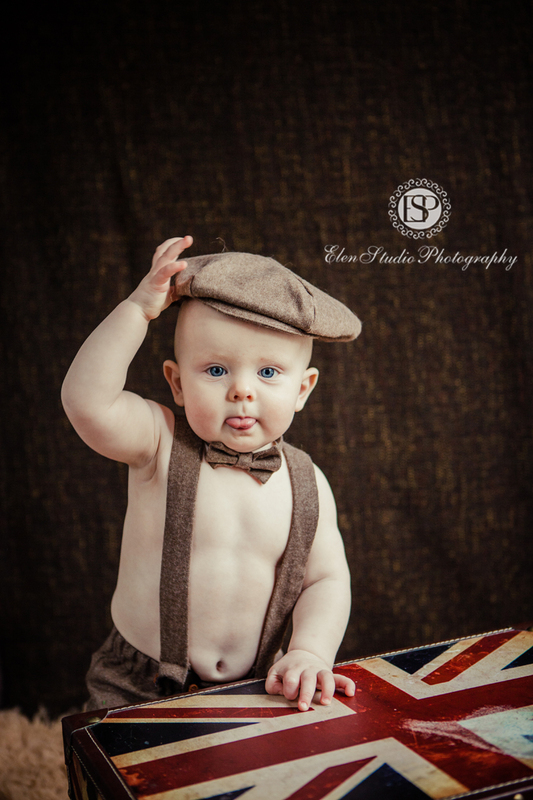 I found an elegant set of brown shorts and a cap for him among my baby outfits so we decided the overall colour scheme to be brown-green. 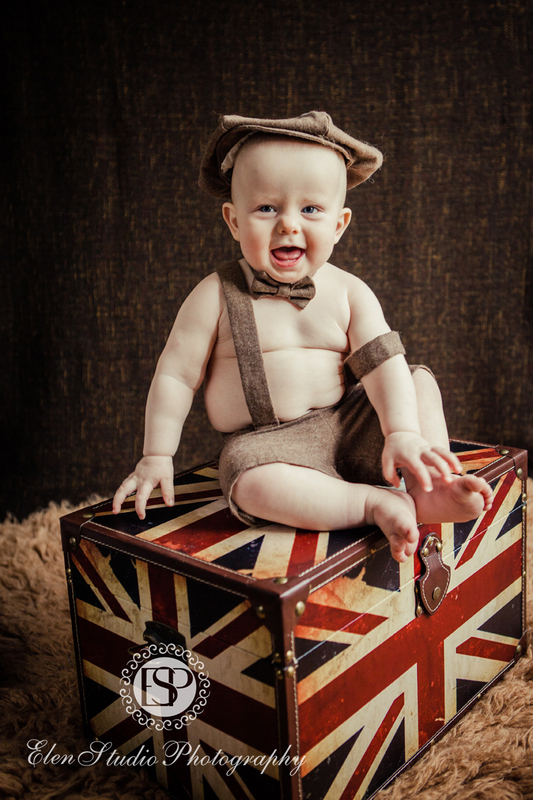 We started from simple head shots with a Union Jack box, then invited his dino. 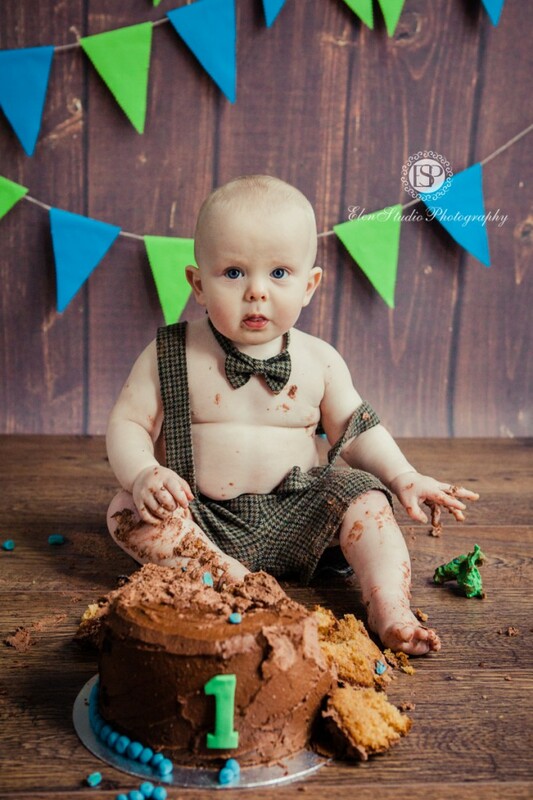 At the end of the shoot Oliver got the cake to smash and to play with. That was a fun shoot, with lots of laugh and surprises. 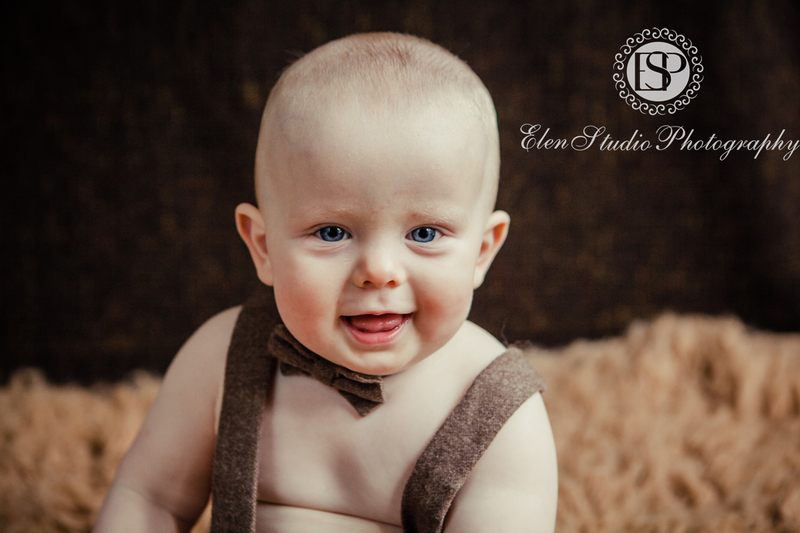 I really enjoyed, Oliver and his parents had fun too!